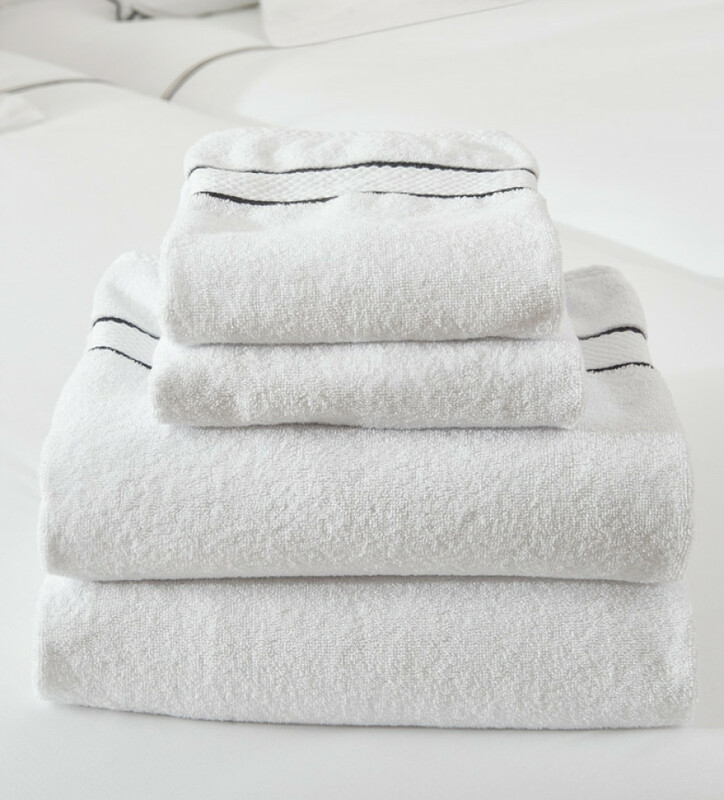 There are few sensations as pleasurable as finishing off your shower by enveloping yourself in a premium-quality organic cotton towel. 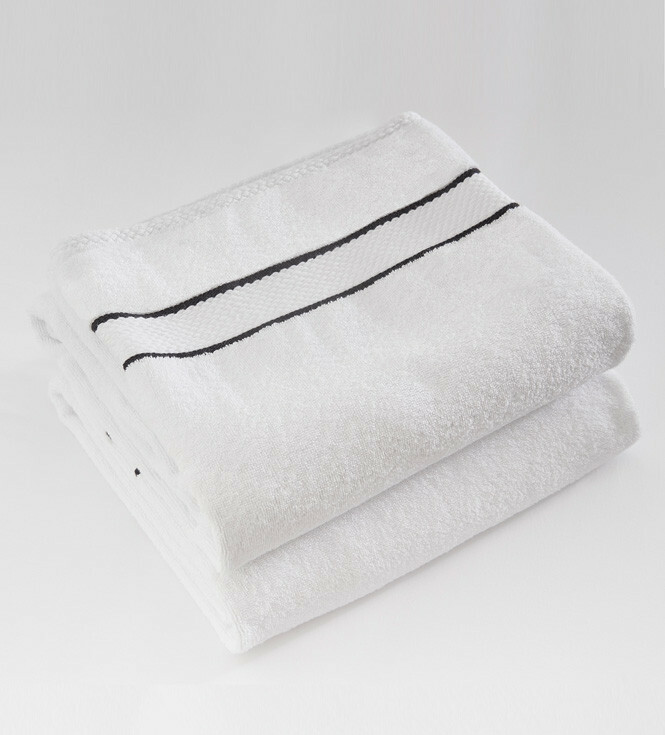 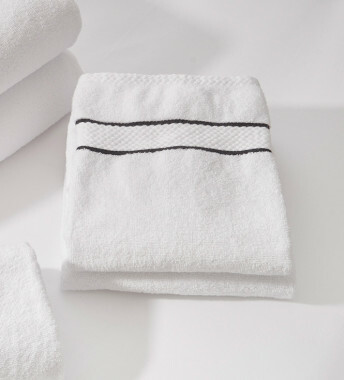 The radiant whiteness of this luxurious 100% natural cotton fabric is set off beautifully by two stylish black stripes. 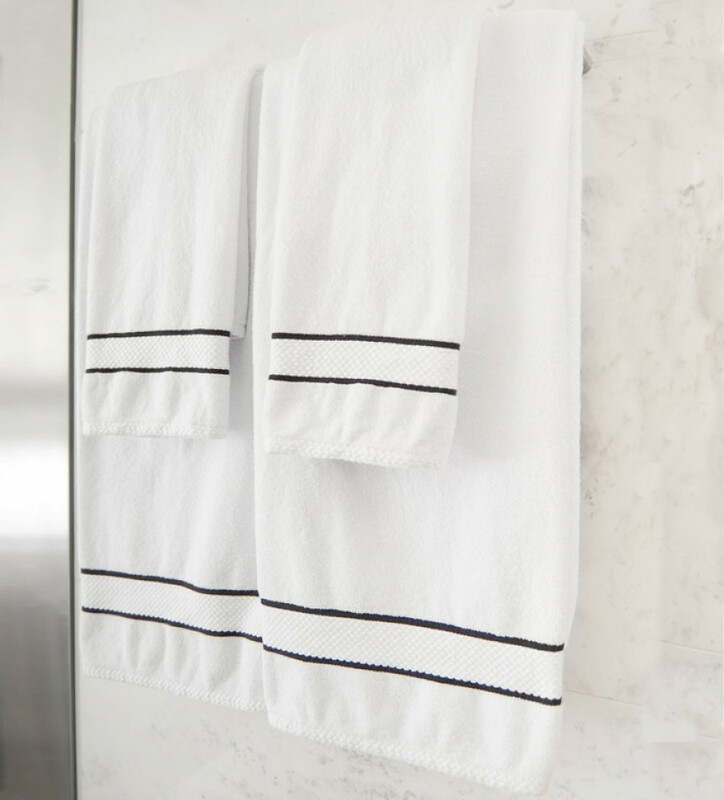 This understated, classy design is true to its style and complements any décor. 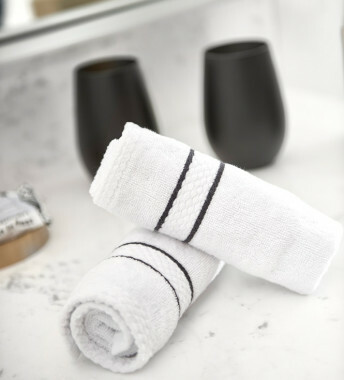 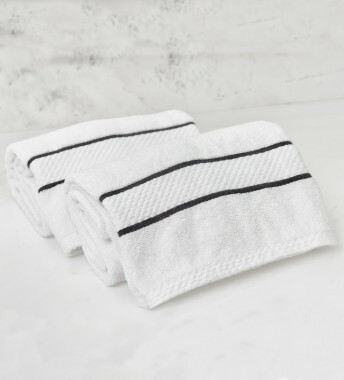 The towel forms part of a complete set of bath towels with pieces available to purchase separately, and will wrap you in an incomparable sensation of luxury.